The Philippines has the fifth longest coastline in the world! With more than 5, 000 nautical miles of coasting routes and tortuous channels regularly navigated by ships plying in the Philippine territorial waters, modern navigational aids is a must to guide the ships against the treacherous reefs and shoals. But before the modern aids, one of the traditional navigational aids is the lighthouse which serves as sentinels of the ships in the sea. In the Philippines, there are more than 30 lighthouses and so far I have visited only 12 of them. 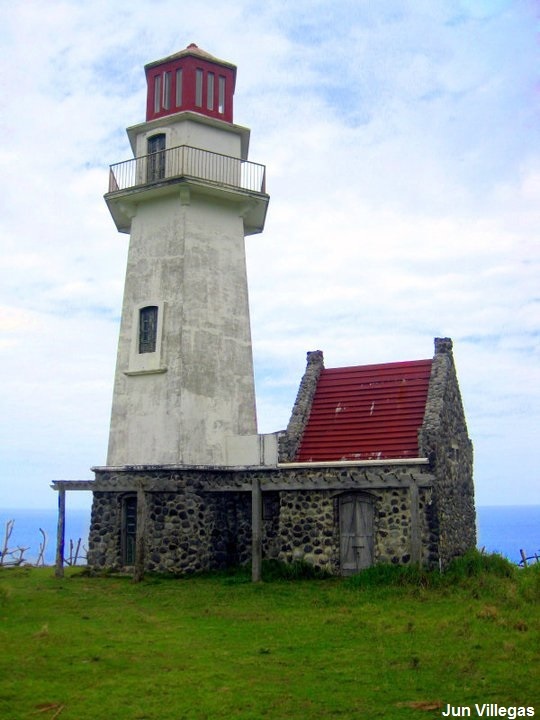 Basco Lighthouse in Naidi Hills, Basco, Batanes (2003) 66ft. Cape Santiago Lighthouse in Calatagan, Batangas (1890) 51 ft.
Cape Bolinao Lighthouse in Bolinao, Pangasinan (1906) 101 ft.
Cape Engano in Palaui Island, Sta. Ana, Cagayan (1893) 47 ft.
Cape Capones Lighthouse in San Antonio, Zambales (1890) 65 ft.
Cape Bojeador Lighthouse in Burgos, Ilocos Norte (1892) 66 ft.
And the smallest lighthouse in Sabtang Island, Batanes. It is my goal to visit at least half of the lighthouses in the Philippines. 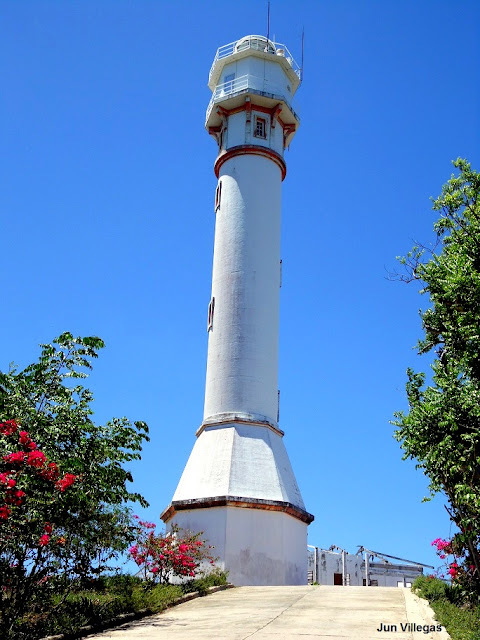 My next target are the lighthouses in Liloan, Cebu, and Capul, Samar, and Mindoro. Seeing the Lighthouses in the Philippines! Ride with Me in Masbate, Masbate! Only one province left in Luzon to visit. 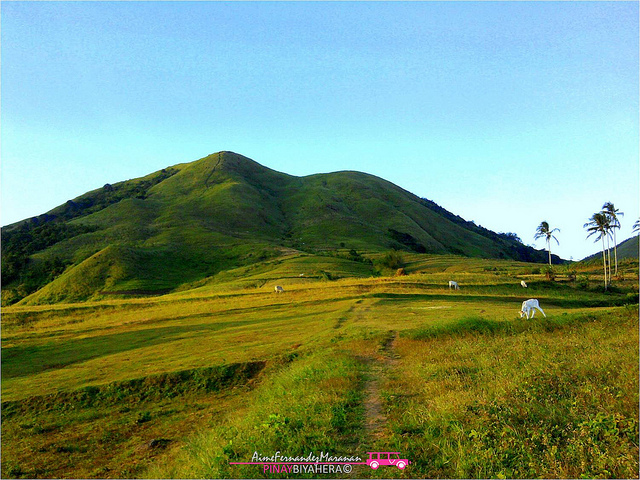 Masbate is known as the "Rodeo country in the Philippines". The major source of livelihood are copra, mining, and cattle rustling. There are so many tourist spots in Masbate alone. But due to lack of time, I was able to visit only some of the spots. I hired a Mang Ramon (0930-707-3396), a habal-habal, for P800.00 and engaged in a 4-hour tour of Masbate, Masbate. I hired a boat ride to the sandbar for P500.00 and the boat ride to the island is good for 10-15 minutes only. It is very near to the coastline of Masbate. Once you are there, it is Paradise! You can even trek, swim or snorkel at the nearby magrove in the reef. 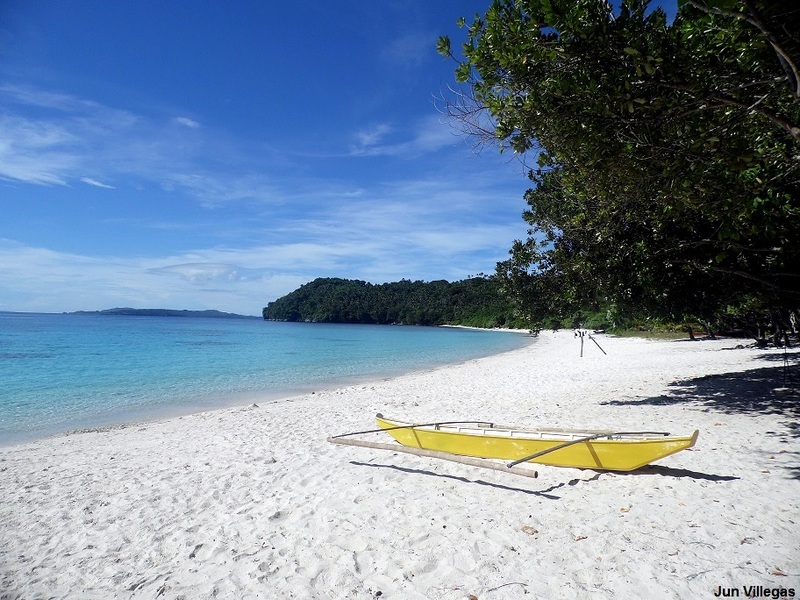 Once you are in Masbate, you can hop either to Ticao Island; Bulan, Sorsogon; Pilar Sorsogon; or Pio Duran, Sorsogon. Should you have questions relative to the boatride to Ticao Island or Bulan, you can ask Apple of Kooperatiba Boat (0910-737-7715). Should you have questions relative to tourism, you can ask Mr Marlon C. Serrano (City Tourism Officer) at 056-582-0781 / 056-333-5608. 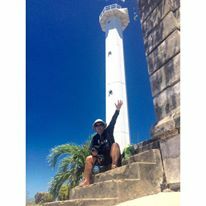 It's More Fun in Masbate! As far as I know, there are only two pink sand beaches in the Philippines. The first one is the Sta. Cruz Island in Zamboanga City and the other one is in Subic Beach, Matnog, Sorsogon. The color of the sand is due to the fact of the multitude of the pipe organ coral in both beaches. Last May 23, 2013, I visited Subic Beach after the previous visit last year at Sta. Cruz, Island. Just came from Masbate and Ticao Island and from Bulan port, I went directly to Matnog. Once you reach Matnog Port, you have to hire a boat going to Subic Beach. The minimum rent for the boat is P500 and the maximum is P1,500. If you are traveling in a group, it is better to hire the P1,500 boat (bigger). But if you are traveling alone, I suggest you try to haggle for P500 boat or if you are lucky, you can even get a small boat for P300. The water current is rough during November and December and I suggest you opt to hire a bigger boat during those months. The trip going to Subic Beach is good for 20-30 minutes. But before going to Subic Beach, it is a must that you drop by at the Juag Lagoon (Marine sanctuary). And while at the lagoon, you can take pictures of the fish or better, swim or interact with the fish! After the thrill of swimming with the school of fish, you have to choose where to spend the day/night. There are actually 2 Subic Beach in the area, namely - Subic "Liit" (small) and Subic "Laki" (big). Below is the picture of Subic Laki. Subic Liit's beach is smaller. It has no electricity, stores, and accommodations. It has only open cottages. It is good only for day tour/swimming. But it has the best tree shade and you can truly enjoy your privacy here. On the other hand, Subic Laki has electricity, plenty of stores, a community at the other side of the island and accommodations (no aircon). The price of closed cottages is P600/day. You can rent tents for P300/day. Should there be no tents or closed cottages, you can ask/request the locals that you be allowed to sleep at their house and pay the appropriate price. 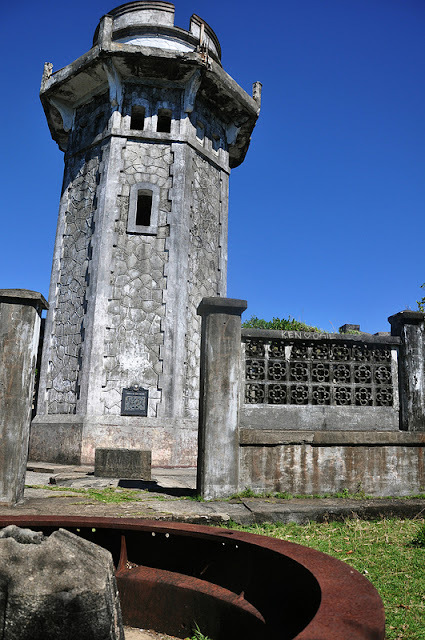 There are other tourist spots near the area such as the Tikling Island, Subic Liit, The Cave and Juag Lagoon. You need to rent a speed boat to go to the cave. It costs P300/ hour. You can watch the sunrise at the beach and you can watch the sunset at the other side of the island. Water in Subic Beach is crystal clear and the pink sand beach is best seen early in the morning and late in the afternoon. It's Really More Fun in Subic Beach! I was born in Batangas but half of my life was spent in Manila from studying and now working. Whenever people learn that I am from Batangas, the initial reaction is to say that there are beaches in Batangas. Not quite, I am from Tanauan City and the nearest beach is in Laiya, San Juan, Batangas (which is a 2 hour drive from our spot.) 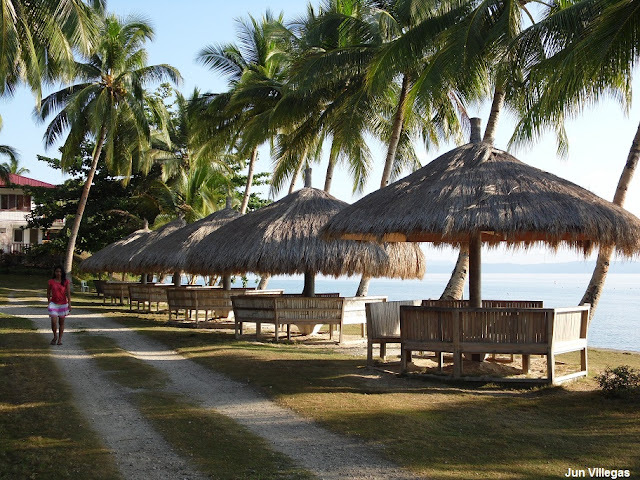 And yes Batangas has plenty of beaches, but the best beach is located in Nasugbu, Batangas! Among the best resorts in Nasugbu are Canyon Cove, Terrazas De Punta Fuego, Munting Buhangin and Pico de Loro at Hamilo Coast. 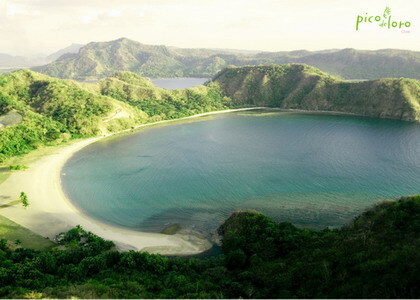 But Nasugbu is more than its beautiful and renowned beaches and its diving sites. 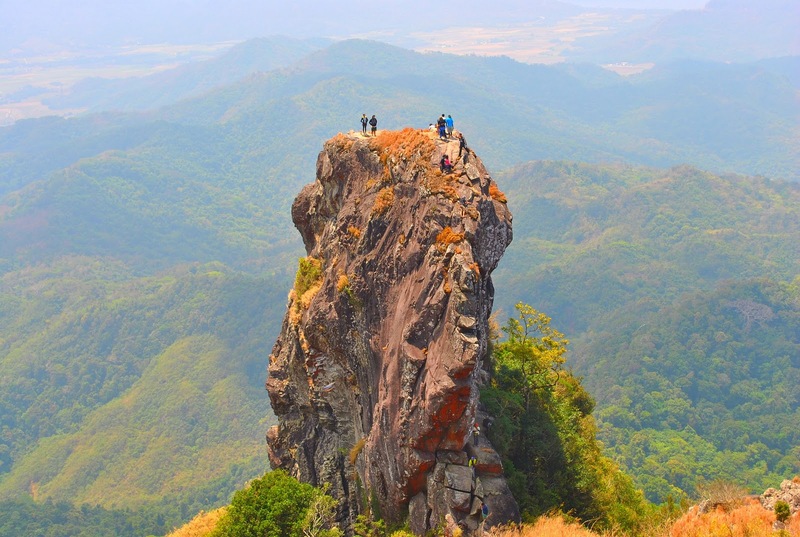 It has one of the best mountain trekking spots, namely - Mt. Batulao, Mt. 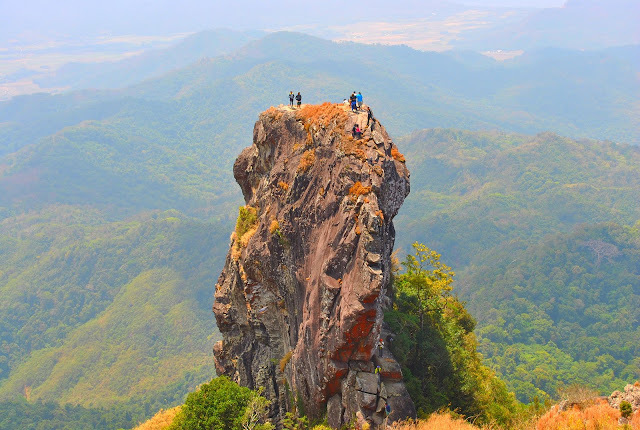 Talamitam and the nearby mountain - Pico de Loro. And the last thing about Nasugbu is that it has 2 of the best churches in Batangas. 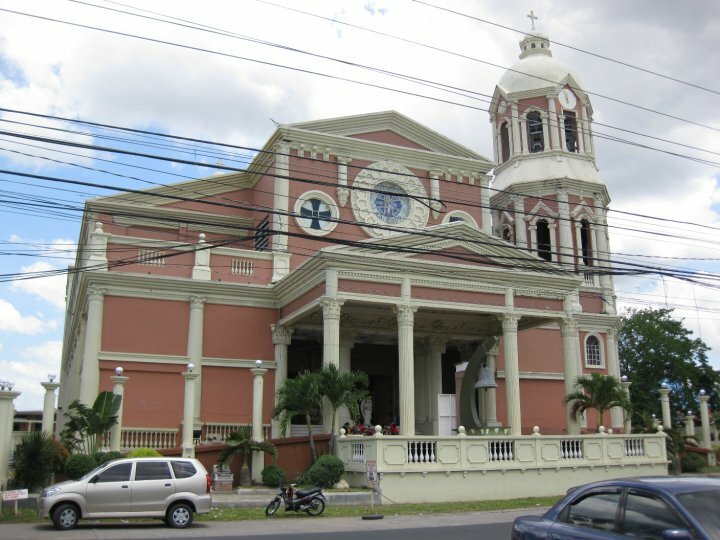 I am fond of visiting Catholic churches in the Philippines. I have visited the churches in Bohol, Camarines Sur, Batangas, Laguna, Rizal, Bulacan, Cavite, Ilocos Sur, Ilocos Norte and in some remote parts of the Philippines. But there are three temples in the Philippines that I have also visited that are not Catholic churches and I consider them still as tourist spots in the Philippines. First is the Philippine Taoist Temple in Cebu. Last May 20, 2011, I was in Cebu and my main reason to go to Cebu was to ride the Edge Coaster and experience the Sky Walk and zipline in the city. But unfortunately during that time the attraction opened past one pm and in order to save time, I hired a taxi for P600.00 and had my city tour. 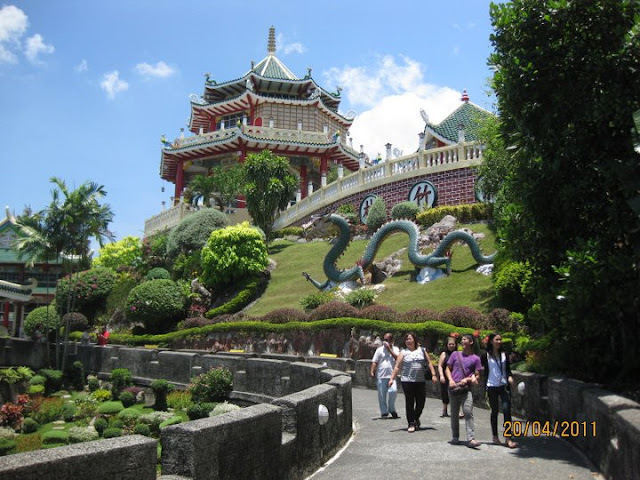 First in the itinerary of the tour was the Philippine Taoist Temple. If I remember it right, I think I did not pay any entrance fee for that visit. 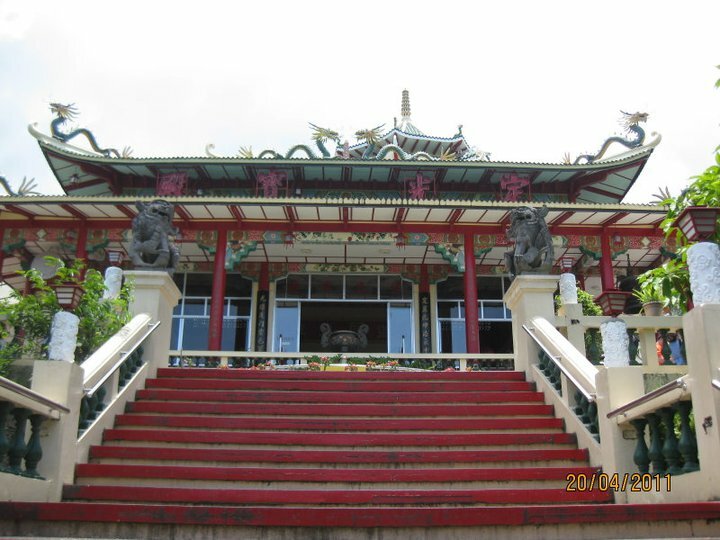 The temple was built in 1972 and is located at Beverly Hills Subdivision in Cebu City. It was built by the Chinese community residing in Cebu City. I stayed and roamed inside the temple for one hour and went to my other destinations such as Fort San Pedro, Sto Nino Church and Magellan's Cross. 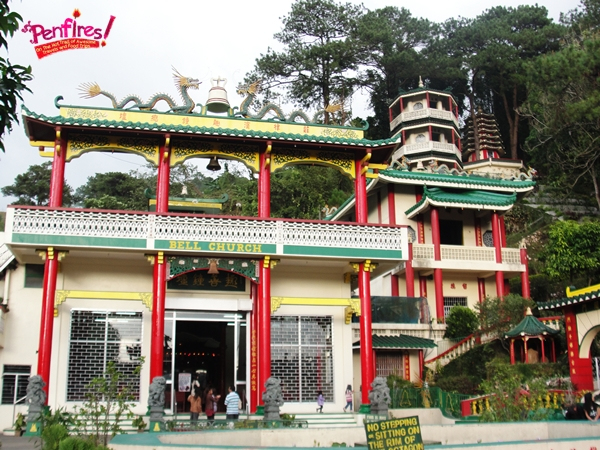 The second temple that I visited is the Taoist Bell Church in Baguio City which is located near the border of La Trinidad, Benguet and Baguio City. I was in Baguio last 2012 and for P600/hour I hired another taxi and went to the different tourist spots in Baguio for 2 hours only. Part of the 2-hour itinerary was going to the Bell Church, Mansion, Burnham Park, Wright Park, Lourdes Grotto, and the Mines View Park. 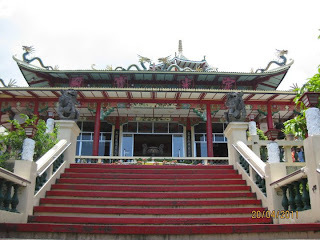 The temple visit was quite short, just to satisfy the curiosity of seeing another Taoist Temple in the Philippines. 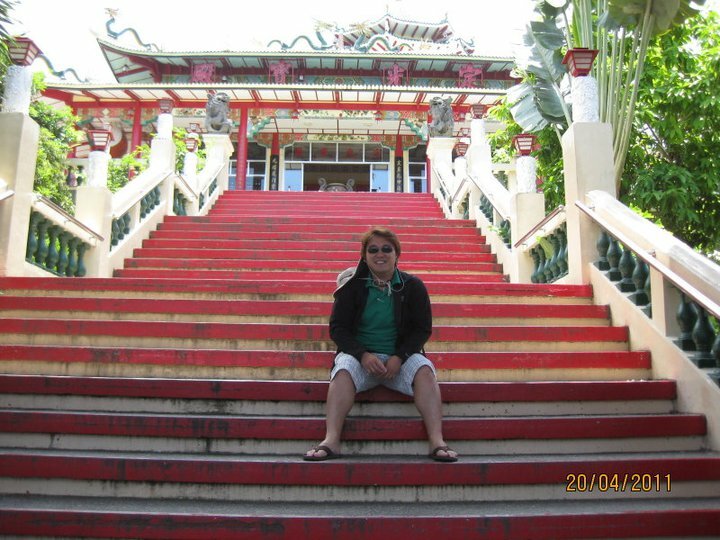 The third and the most recent was the visit at the Korean Temple in Silang, Cavite. Admission in this temple is also free. 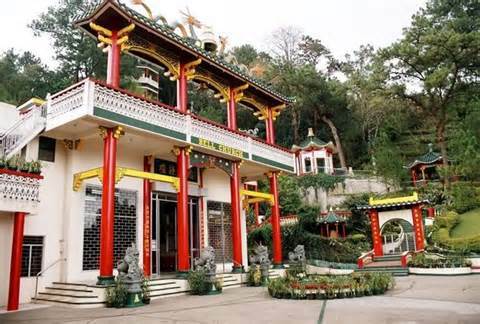 And for me this temple is the most serene, elegant and beautiful since it is the newest and is well-maintained. I was having my summer road trip and by chance I saw this signboard which reads - Korean Temple. I decided to drop-by and I was not disappointed. It even has a pond! various temples in the Philippines! Tagaytay City is one of the tourist spots which I have visited numerous times due to its proximity to my hometown in Tanauan City, Batangas. I have seen the People's Park, Our Lady of Manaoag at Tierra de Maria, Zipline in Tagaytay, Picnic Grove, and a couple of tourist spots. But my joyride in my motorbike last May 4, 2013 was a different adventure of Tagaytay. As early as 5 am I woke up and headed to my first destination. But before going to Tagaytay City, I started my trip in Nuvali, Sta. Rosa Laguna. I won't forget the trip to Nuvali due to the fact that I met an accident while going to Nuvali. Luckily, it was only a minor motorbike accident and I ended up only having minor bruises. The accident reminded me to be very cautious whenever I drive in blind curves of the road and that thought would never leave my mind after experiencing the accident! Second stop for the day was not part of the itinerary. From Nuvali, I headed towards my next destination and while passing in Silang, I saw the signboard - Korean Temple. The thought emerged to see this temple. And it was a good thing I heeded to my curiosity. 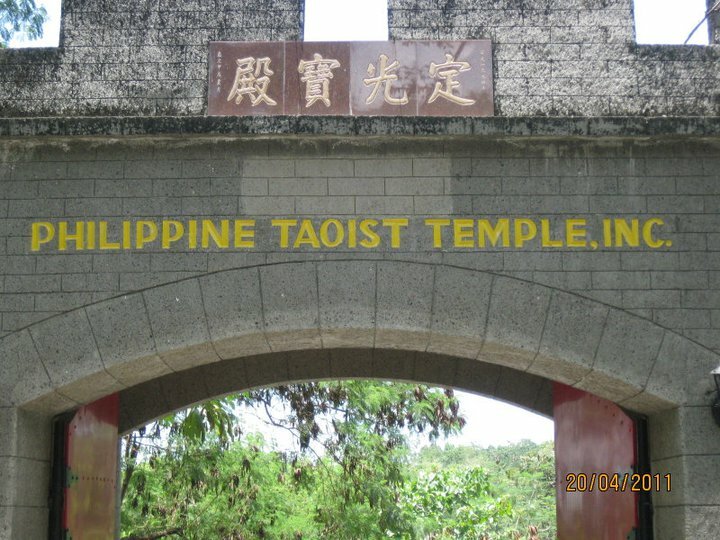 The Korean Temple boasts of one of the best temples in the Philippines. 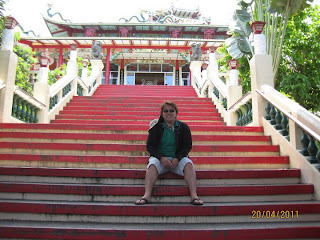 I have seen the temples in Cebu and Baguio. And this one is one of the best in the Philippines. I felt like I was in Hong Kong for a couple of seconds after marveling at this site. There was not a single tourist that day and good for me since I was able to take pictures less the crowd. After taking pictures of the temple, I went to the original destination - Sky Ranch! My fried MJ Corillo told me to include Sky Ranch in my itinerary and I did. Again, I was not disappointed after seeing the Sky Ranch. The theme park boasts of the biggest Ferris wheel (a.k.a. Sky Eye) in the country and the wildest Super Viking! For only an entrance fee of P50.00, I was able to enter the park and take pictures. And for P150, I rode the Sky Eye and took pictures of Taal Lake and Volcano while onboard the Sky Eye. And after taking pictures, I decided to stroll a bit at the park. And the view of Taal Volcano and Taal Lake was simply fascinating! They say that Sky Ranch is a lot better at night but my day tour is enough for that day and I enjoyed the day tour. Then I drove to my next destination - Puzzle Mansion! The Puzzle Mansion houses the Guinness World Record for the largest number of Jigzaw puzzle collection in the world. The owner of the jigzaw puzzle is Ms. Gina Lacuna. The picture at the right is the biggest jigzaw puzzle made. And the most difficult is the picture at the left side. I roamed around the mansion and examined the various puzzles. After staying at the Puzzle Mansion for 1.5 hours, I decided to go to my last destination. The last stop for the day was - Nurture Spa! It was my second visit at Nurture Spa. I simply cannot get over it and I inquired again on the room rates and amenities just to enter the spa. This is one of the best destinations in Tagaytay City. A must-see! It was already dusk when I reached Nasubu, Batangas and I spent the night at Nasugbu for my next adventure, i.e. visiting 5 beaches in one day in Batangas. It's Really More Fun in Tagaytay City! More Than the Name Calatagan!